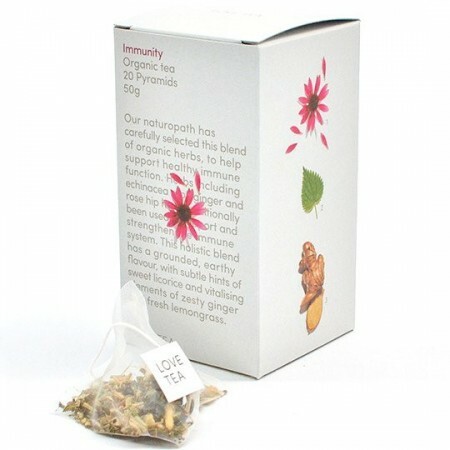 An organic herbal tea to naturally support healthy immune function. 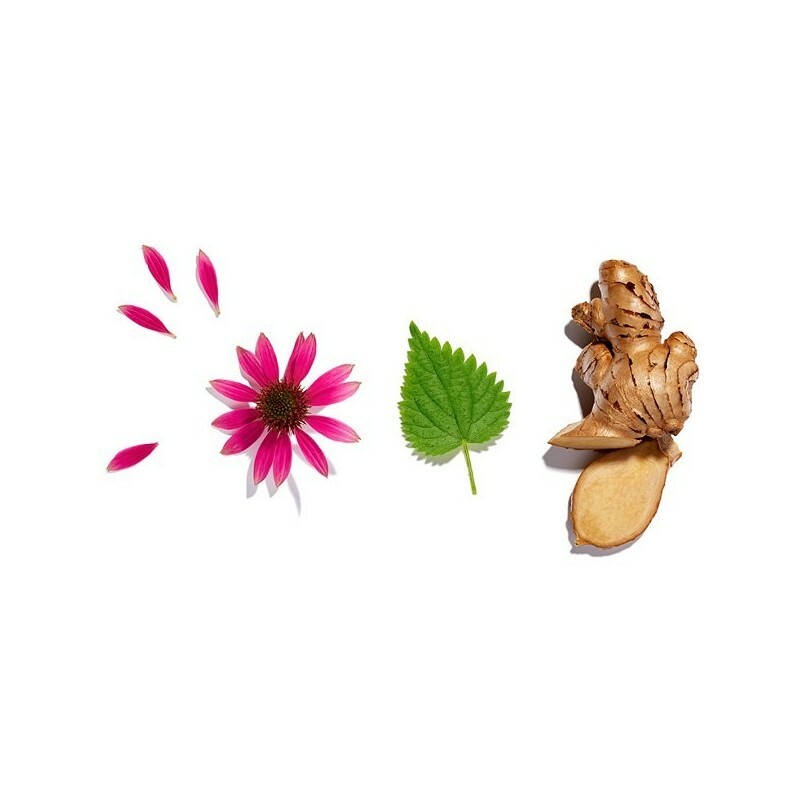 Naturopathically selected herbs including echinacea, root ginger, nettle leaf, lemon balm and rose hip. This holistic and rustic blend has a grounded, earthy flavour, welcoming subtle hints of sweet licorice, zesty ginger and sweet lemongrass for a revitalising immunity boost. Naturally caffeine free. 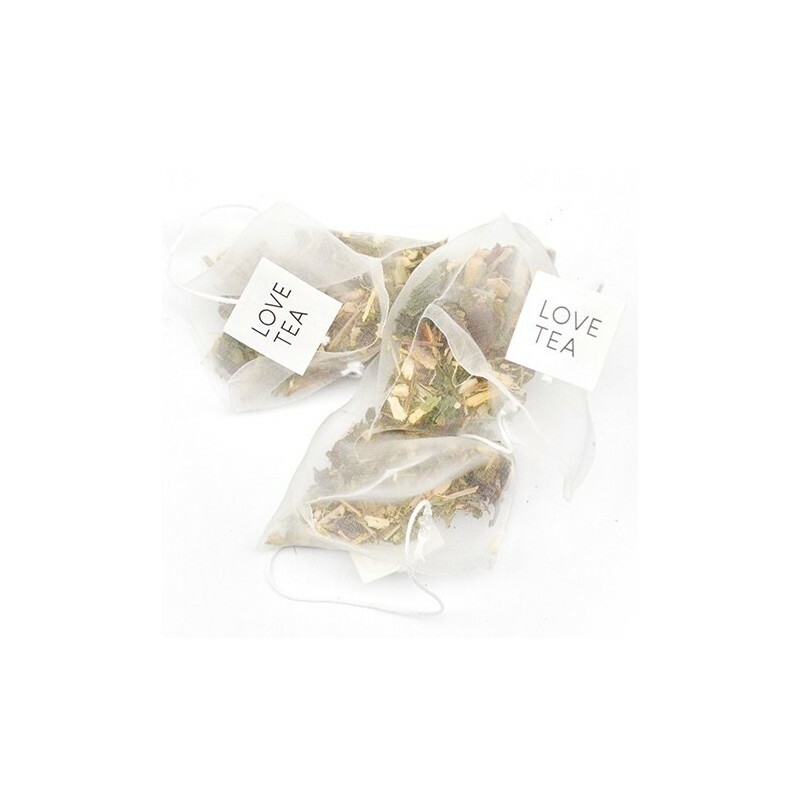 Pyramid tea bags. 50g. Helps support and boost healthy immune function. 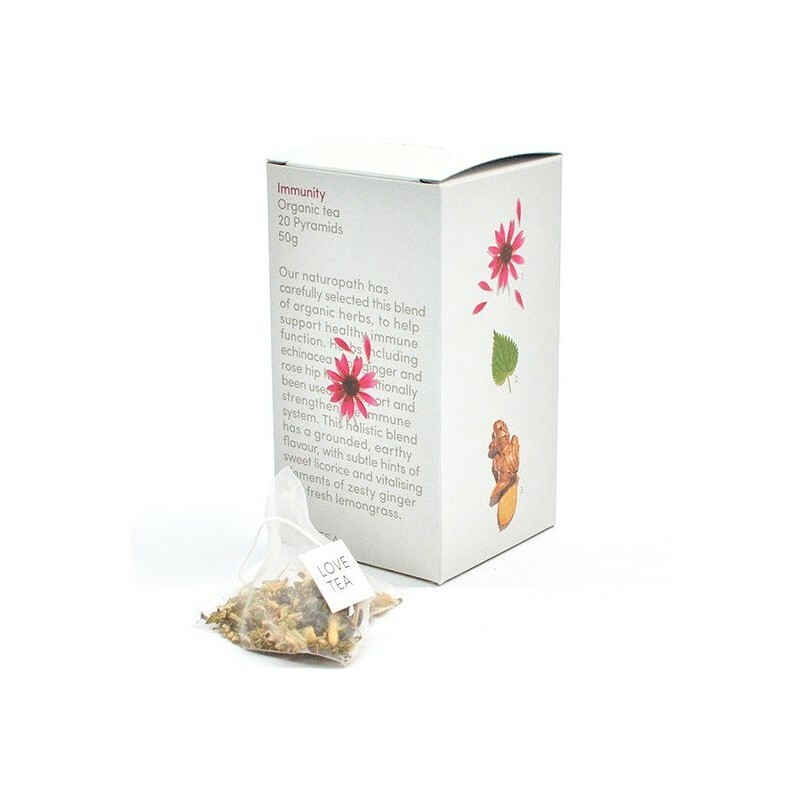 Gentle herbal blend with subtle hints of Echinacea, rose hip, ginger, licorice root, lemongrass, nettle leaf, lemon balm. Certified Organic Echinacea, Rose hip, Ginger, Licorice root, Lemongrass, Nettle leaf, Lemon balm.